One day last week as I walked into study-hall a student shouted out, “Ms. Drasby You’re Awesome!” This was because the student successfully finished writing a science lab and didn’t have to do it for homework. 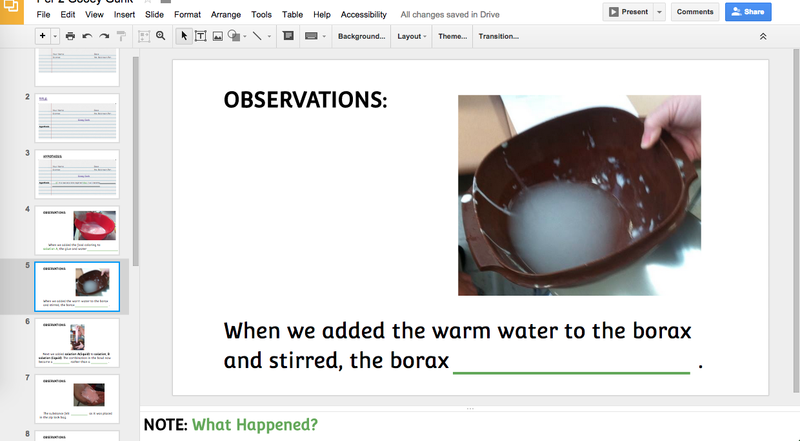 Thanks to technology I was able to immediately share the information for the lab writeup completion with one of my teacher co-partners. 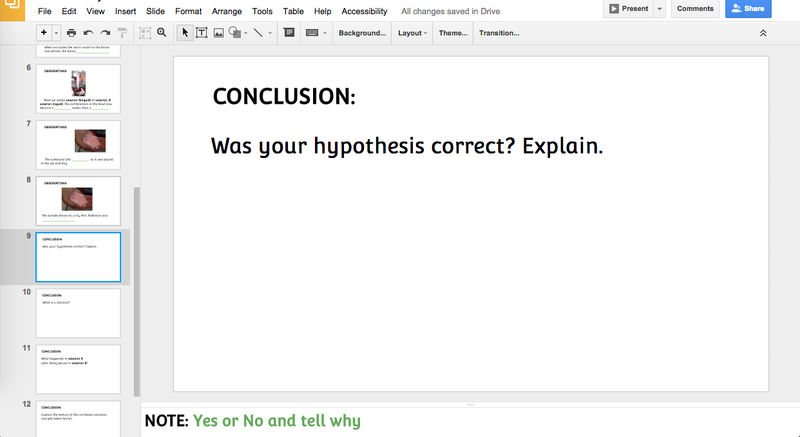 The teacher used the question list I typed with onto a shared Google Doc. One of the advantages I like about Google APPS for Education platform (GAfE) its ability to share both synchronous and asynchronous information. 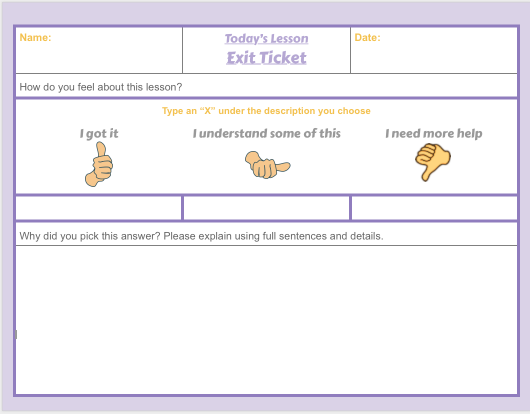 This makes it possible to deliver pertinent details to support my students understanding and completion of assignments within a reasonable amount of time. The other support provided to my students was the breaking down of directions and sharing the steps via a tablet on their desk. This was done by using The Google Docs Presentation APP found in Google Drive. 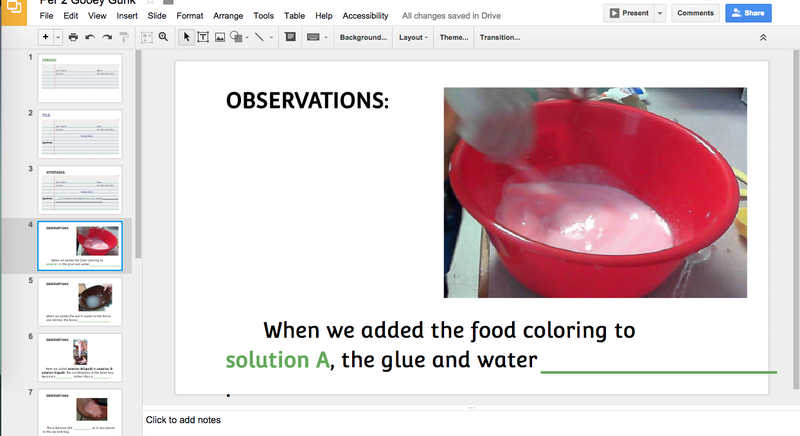 This provided the ability for the student to work independently as she wrote her science lab up on a blank looseleaf paper. The student was able to advance through the presentation one step at a time. 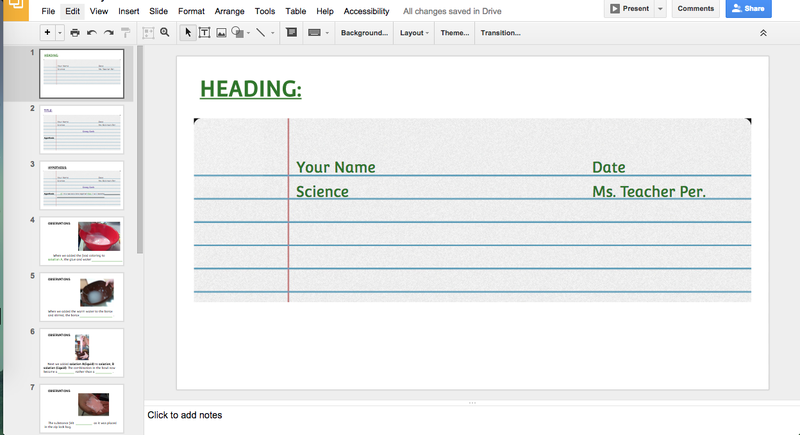 This made it easier for the student to complete the tasks for the lab write up without an adult hovering over her. 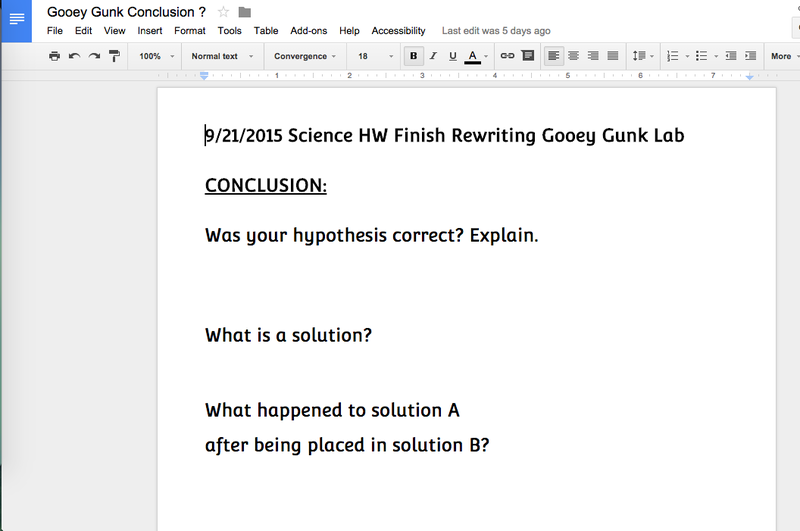 Shared the document after typing helped the students finish writing the conclusion before the school day ended. 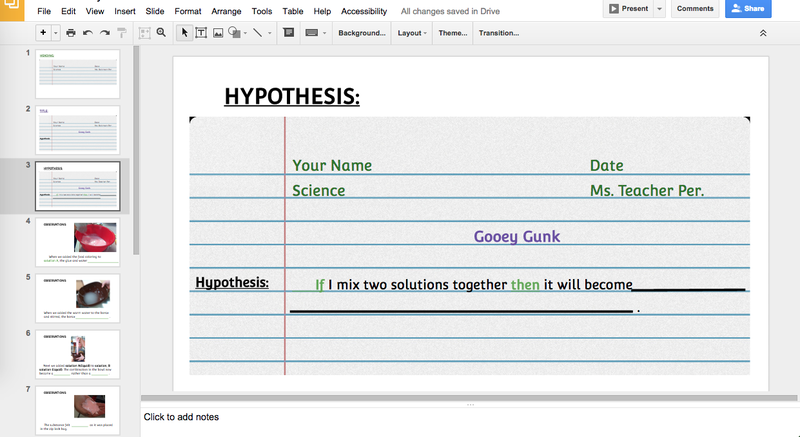 This provided the direction for the student to independently write her lab.